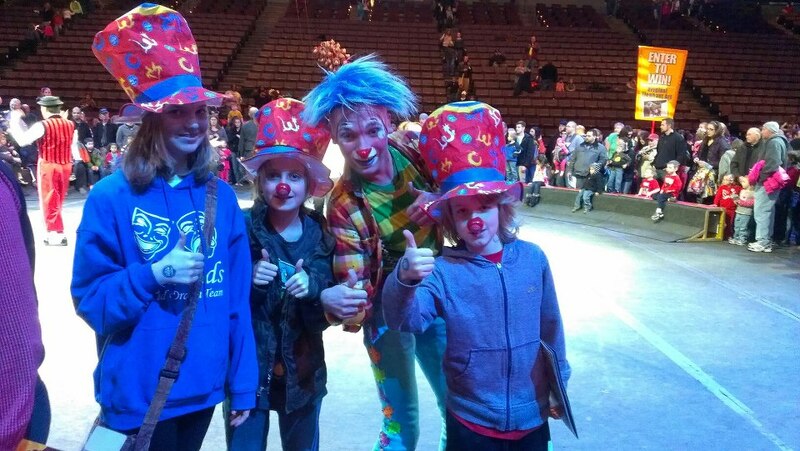 Ringling Bros. and Barnum & Bailey® Circus is coming to Cincinnati March 12-16 and we have four tickets for opening night to give to one awesome reader. Built To Amaze!℠, the 143rd edition of the Greatest Show On Earth is sure to surprise audiences with over the top feats of strength, agility and courage. As the momentum builds so does the anticipation, anything can happen when Ringling Bros. Presents Built To Amaze! I took my children last year. We had so much fun watching the clowns, the motorcycles, the tight rope walkers and so much more. My son even found a food vendor where he was able to have a kids meal with a drink for only $4.75. We hope to find that again! From the blueprints to the band, the crates to the clowns, the hammer to the high wire, witness the spectacle as we measure out the perfect mix of marvel and majesty in an imagination equation where the impossible comes to life. Ringling Bros. and Barnum & Bailey®Presents Built To Amaze! Tickets can be bought online or at the U.S. Bank Arena Box Office. They cost between $12 and $85. You can also buy a Family four-pack for $99, which includes four tickets, popcorn, marshmallow pops and lemonades. That’s quite the deal! Raising2tweens has a four-pack of tickets for opening night (March 12) to give away to one lucky reader. You have up to four chances to win. Only one is required but the more you enter, the more chances you have to win. 2. Follow the blog by clicking follow at the top and comment here that you did. 3. Like Raising2tweens on Facebook and comment here that you did. 4. Share this contest on Twitter (@gina5620 and #cincycircus) or Facebook and comment here that you did. Enter to win by noon on Sunday, Feb. 23, 2014. Be sure to comment separately for each entry. The winner will be notified via email and announced on the Raising2tweens Facebook page. Disclaimer: My family was given four tickets to the circus from Feld Entertainment. Want more chances to win? Head over to my friend Krissy’s Blog, All In A Day’s Work or Amy’s blog In a Galaxy. 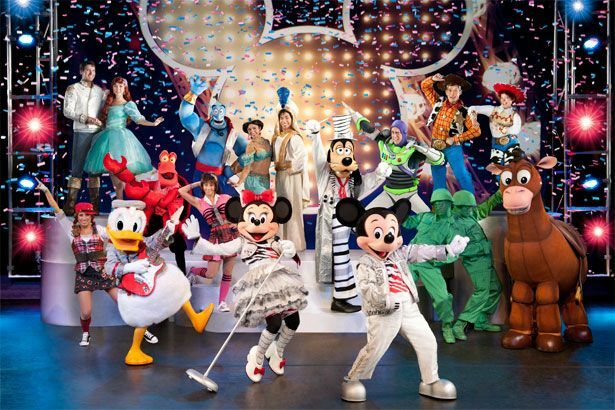 What: Disney Live: Mickey’s Musical Festival! When: Saturday, Feb. 15 at 1 p.m. & 4 p.m.
Mickey Mouse and friends rock the world with the stars from The Little Mermaid, Aladdin and Disney/Pixar’s Toy Story in their new touring show Disney Live!Mickey’s Music Festival. Disney hits are remixed to the hottest sounds of today featuring hip hop, pop, swing, reggae, rock, country and much more! The irresistible lineup of performers, including Mickey, Minnie, Donald and Goofy; Ariel, Sebastian and Ursula; Jasmine, Aladdin and Genie; and Woody, Buzz and Jessie; are among the more than 25 Disney stars featured in this jam session fit for the entire family! You can’t resist dancing, singing, playing your air-guitar and laughing with this band of characters! Come join them at Disney Live! Mickey’s Music Festival for a lively concert experience guaranteed to deliver enough rockin’ memories to last a lifetime. You can purchase tickets here. Are you going? Disney On Ice: 100 Years of Magic is coming to the U.S. Bank Arena! And you can win a Family Four Pack from Raising2tweens! If you don’t win tickets, it’s still really affordable with the SUPER Family 4 Pack Deal being offered this year. You have several chances to win this four-pack of tickets to the Cincinnati show (Oct. 30 or 31). Be sure to do each entry separately for more chances to win. 1. Comment here telling us why you want to see Disney on Ice (required). 2. Share this contest on Facebook and comment that you did. 3. Like Raising2tweens on Facebook and comment that you did. 4. Follow the Blog and comment that you did. Contest will end on Oct. 20, 2013 at 5 p.m. Winner will be notified via EMAIL and will have 24 hours to respond or another winner will be chosen. Family Four Pack – $99.00 valid on non-VIP seats. The offer excludes Weekday performances because of the weekday pricing discount of $12 flat non-VIP tickets. · Good on non-weekday performances as noted above.